Taste AND nutrition matter when it comes to creating a successful vending program at your Healthcare Facility. 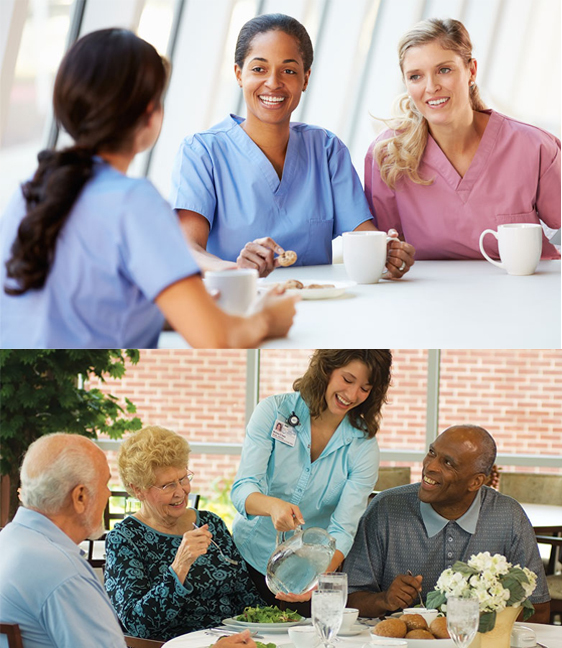 Vending Programs Tailored To The Special Needs of Hospitals, Assisted Living and Rehab Facilities. Vending machines are a very public-facing food service in most healthcare facilities, and a great way to reinforce the facility's commitment to serving healthy and nutritious foods and beverages. Stocking healthier options in vending machines ensures employees and visitors looking to snack throughout the day will find that the healthy choice is the easiest choice. A productive day at work in the medical field always consists of a little down time. Nurses, doctors, cleaning staff, administration, everybody needs to take a break now and then. And whether that break translates into coffee, a cold drink or a snack, Global Vending Service can provide everything needed to truly refresh your employees. Our vending machines focus on patient and staff well-being to provide them with easy and convenient access to a wide range of healthy products. All vending machines are ADA (Americans with Disabilities) compliant. 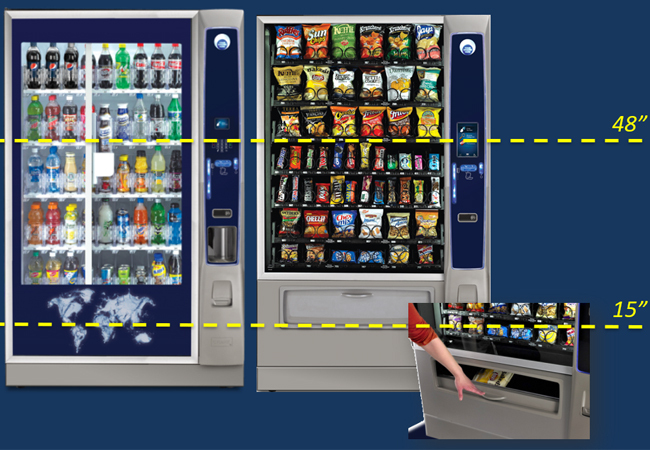 Vending machines are offered in multiple sizes and configuratons to fit any size space. State-of-the-art healthy touchscreen vending machines with nutrition information readily displayed for each product. Integrated eco-friendly, power-conservative lighting and refrigeration and energy-saving technology for very low energy bills. Each machine can be customized and designed to fit your specific product, brand, image, location or event. To make vending machines accessible for disabled people who use wheelchairs, the U.S. Department of Justice revised some regulations to the Americans with Disabilities Act (ADA).Global Vending complies with the U.S. Department of Justice's (DOJ) regulations by offering vending machines that are either ADA-compliant or ADA-ready. The Americans with Disabilities Act (ADA) requires all usability components of the vending machine to be between 15" and 48" up from the floor which designates machines as ADA-compliant. All of the usability components including the monetary, selection, and delivery areas on our ADA-compliant vending machines are positioned to accommodate wheelchair accessibility. We have a shared responsibility as a food service provider to promote and encourage people to live active and healthy lives. 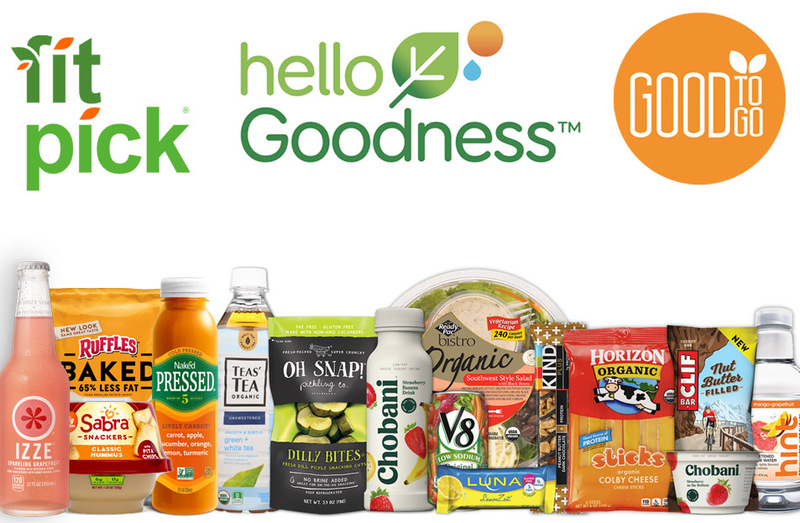 By introducing our healthy vending, micro-market and fresh food programs, ours clients have a way to introduce or maintain a wellness programs at their healthcare facilites. With so many different diets that people follow, we know people have many different ideas about what is healthy. Some follow a low carb diet, others are watching grams of fat, many count calories, and quite a few count their sugar grams. We have taken the initiative to address those concerns.